Corporate Social Responsibility (CSR) as the commitment of business to contribute to sustainable economic development, working with employees, their families, local community and society at large to improve their quality of life. Thus environment concerns are part of a company’s CSR. CSR is a fundamental concept like liberty or equality that is always being redefined to serve changing needs and times. To be considered effective, Corporate Social Responsibility must be an integrated part of day to day business, engaging all stakeholders and including strategies to support individual managers to make socially responsible decisions, conform to ethical behavior and obey the law. Every business has three major goals: sustaining profit, sustaining the brand and retaining the staff. And a business has to strive for earning profit as it is essential for its survival and growth as an enterprise. The survival of any business will be a day-dream without profit. But the profit has other dimensions, too. Socially responsible business practices reduce a company’s financial profit but could potentially enhance its value. Sustainable Corporate Social Responsibility (CSR) initiatives are embedded in the viable business strategy of organization. The role of CSR, especially from the viewpoint of company, is important in bridging the economic divide that exists in the country. The business themselves alone cannot largely carry out the CSR initiatives. They need to create their own patrons for this. The more there is a linkage between business and the patron organization, the more likely is that CSR initiatives will be sustainable for a longer period. The contemporary CSR agenda is founded in recognition that businesses are part of the society, and they have the potential to make positive contribution to social goals and aspirations. Despite the fact that CSR does not have a universal definition, it does certainly reflect the recognition by business that they have a responsibility to the society, to third parties, and the national environment, and it encompasses the social, political and economic development. CSR is most effective when it drives off core competencies of a company’s values and resources, and is not an add-on. It is meant to set the course of for the business to be in the business of doing social good. It goes beyond the ‘old philanthropy’ of the past, individual charity and one-off activity or donating money to some “good” causes at the end of a financial year. It is meant to incorporate environmental, social and welfare-based themes into business plans and products. With increased globalization, local businesses are being more integrated with the global economy than ever before. Hence the pressure is mounting on local businesses to converge on international standards of socially responsible business. 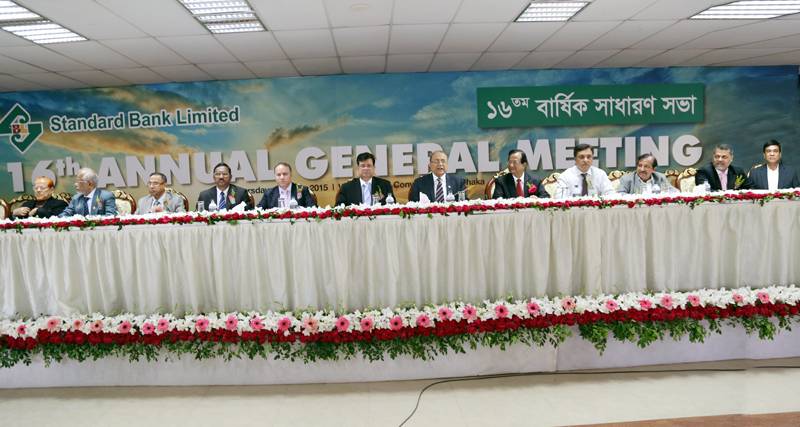 As a member global economy, Bangladesh is also aware of the need to take positive initiative to establish an image of environmentally and socially responsible business. In the process, some of the banks and financial institutions have set up foundations for the purpose of spending their funds as part of CSR initiatives, in areas of priority social needs. The foundation need people having a forward looking approach to addressing the social issues of wider concern. The benefits here should not be considered in terms of immediate rate of return on funds so deployed, but these should rather be viewed in the context of meeting an objective. 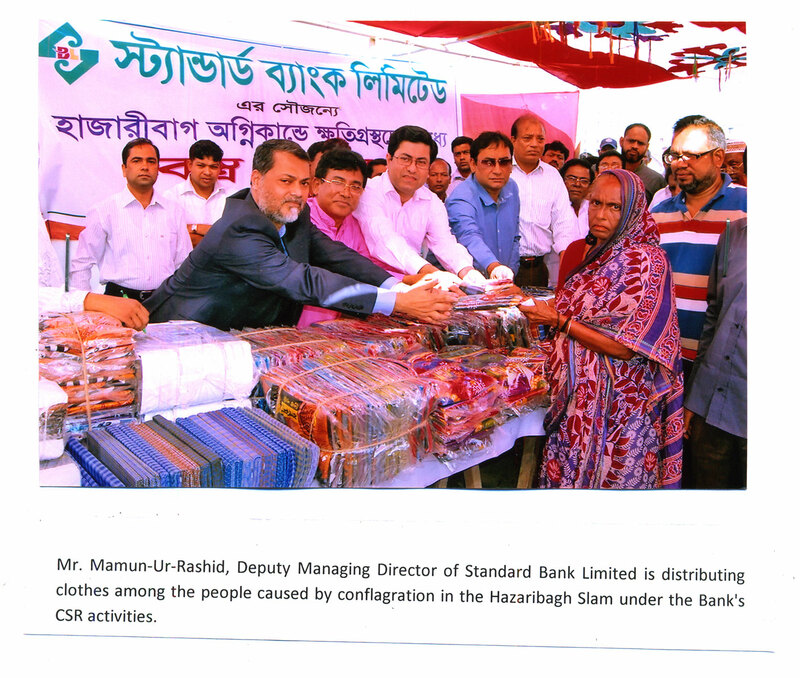 In line with the conformity SBL focused on CSR by involving in different nation building activities apart from usual banking operation. 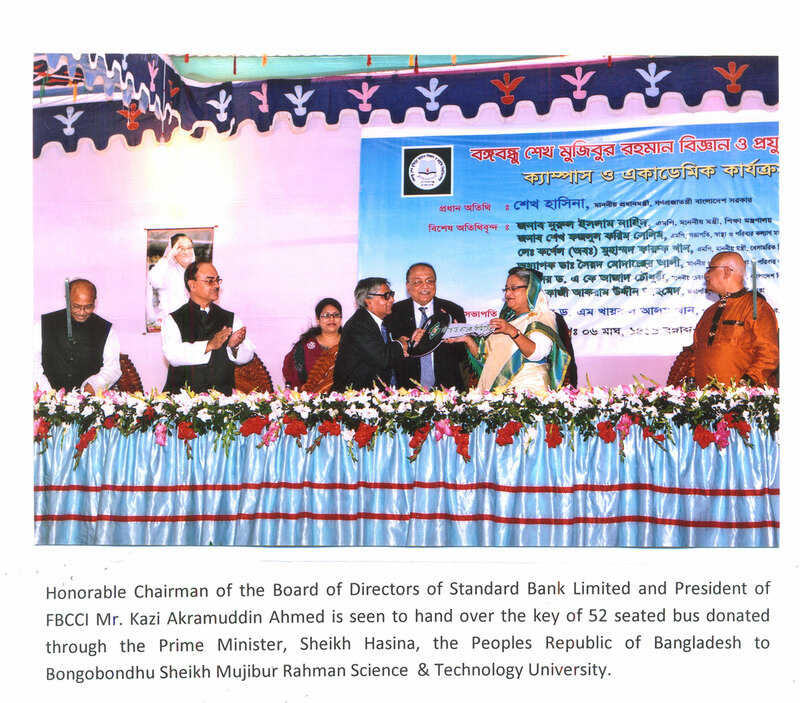 Since its inception in 3rd June 1999, SBL was more active for the noble cause of humanity. SBL always stands beside the marooned people during the natural calamity that includes flood, drought, famine and SIDR. 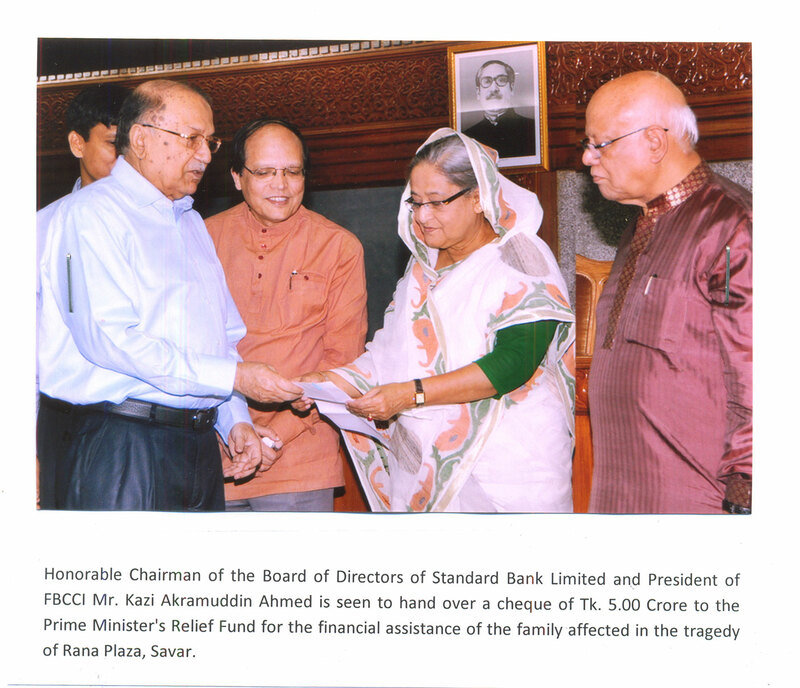 SBL provided support not only from the Bank but also from the Bank Foundation. SBL actively embraces its role as a corporate citizen. It regards Corporate Social Responsibility (CSR) not a charity, but an investment in society and in its own future. SBL’s goal as a responsibility corporate citizen is to build social capital. The Bank leverages its core competencies in five areas of activity: through social investments it aims to create opportunities; with its involvements in art & music it fosters creativity; via its educational grant program it enables talent; through its commitment to sustainability it ensures long term viability and the Bank’s employees regularly participate in activities that provide social support. helps the poor and meritorious student to discover their own potential in the area of academic development. 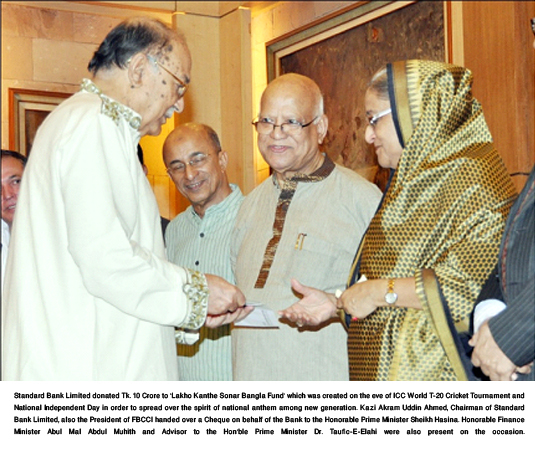 Recognizing ‘education’ as a focus area of the bank’s CSR activities, the Bank has donated BDT 4.5 Million in the form of Scholarship to the poor and talented student during the year 2013. 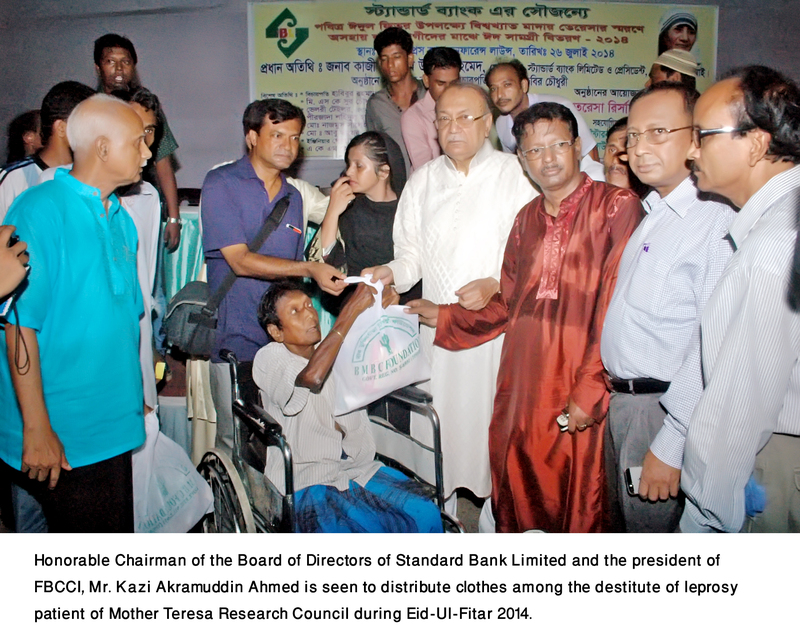 The Bank has expensed BDT 3.09 Million for Education Sector during the year 2014 in direct social intervention and supplementing initiatives to the community. The endowment of Standard Bank Foundation, which was founded in 2010, has grown to a significant size since its inception. The funding policy has focused on some major areas: education and research, healthcare, art and culture and social projects. 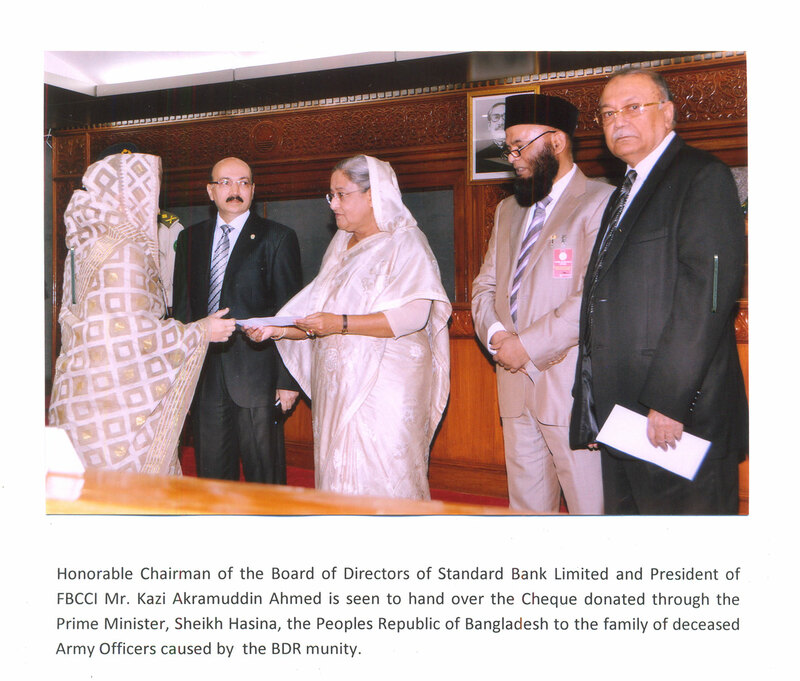 The Bank made provision for Standard Bank Foundation at remarkable percentage on pretax profit in every year. 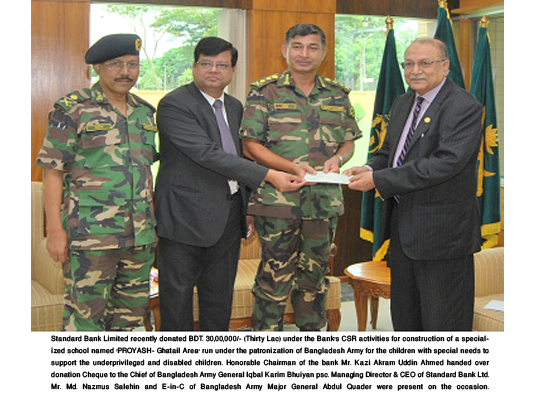 In 2014, SBL has made a provision for Taka 20 Million for SBL Foundation. Standard Bank wants to eliminate the impropriety in the society, to create fellow feeling among the citizens of the country, motivate people to do good works and conserve nature. 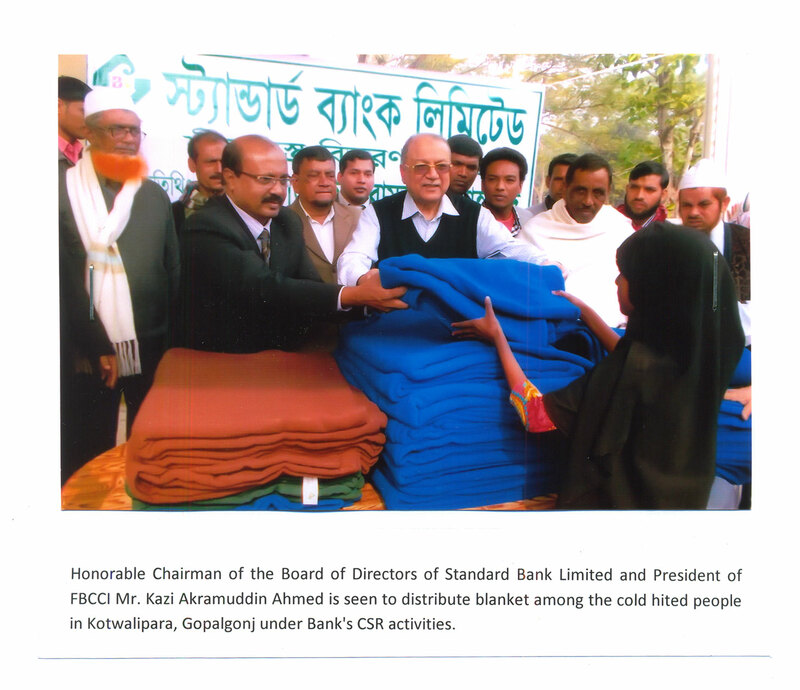 Thus Education, Health care, Creation of social awareness, Rehabilitation of destitute, standing beside the victim caused by Natural Disaster, Preserve the Art and Culture of the society, and address human sufferings arising out of different causes are some of the important areas where Standard Bank has been carrying out its social and philanthropic responsibilities. 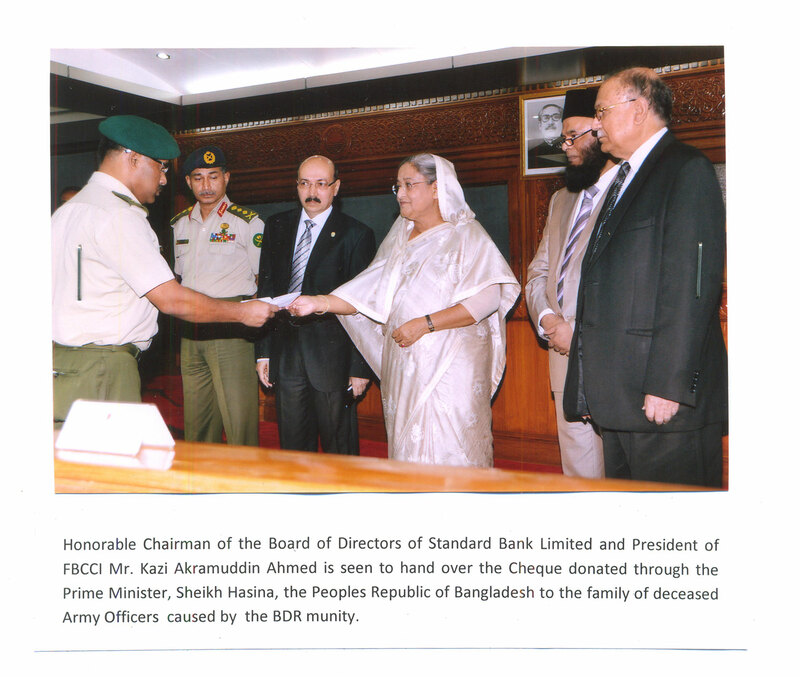 During the year 2014 BDT 48.30 million was contributed for social and philanthropic causes under CSR activities of the Bank in the form of Direct Social Intervention and Community Development Project. Area of our corporate philanthropy & social obligation is not limited at all. Since our take-off in 1999, we have been taking part in diversified social activities.